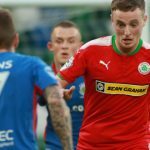 It’s exactly 721 days since Cliftonville last sampled European action and, having missed out last season, supporters are enthusiastically counting down the minutes until this evening’s Europa League clash with Nordsjælland – who will be the 150th different Club the Reds have faced in competitive action. 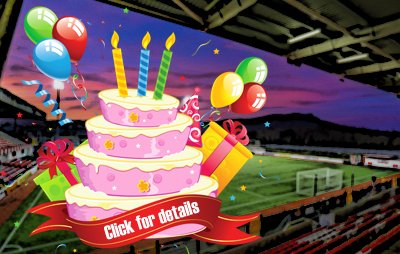 The First Qualifying Round first leg tie represents Cliftonville’s third meeting with opposition from Denmark and comes almost exactly 22 years since the first, with this Saturday marking the date in 1996 when Marty Quinn’s side visited the northern city of Aalborg for their final InterToto Cup commitment of the summer. 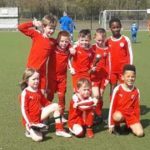 Having garnered a solitary point from their prior Group 1 outings against Standard Liege, Hapoel Haifa and Stuttgart, the Reds travelled to the Nordjyske Arena playing for pride more than anything else and were certainly giving a more than decent account of themselves despite midfielder Mark O’Neill having to assume goalkeeping duties following Dean Smyth’s dismissal. Unfortunately for the visitors, a late flurry of Aalborg goals saw them turn a 1-0 lead into a 4-0 victory that sent the Danes to the top of the table, a position from which they were usurped courtesy of a 1-0 loss in Liege the following week. 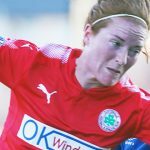 It was not until 2008 that Cliftonville returned to Scandinavia, when the UEFA Cup’s First Qualifying Round delivered rigorous tests against FC Copenhagen. With Solitude undergoing redevelopment work, the first leg of the tie was played at Mourneview Park in Lurgan, where Løverne replicated Aalborg’s 4-0 success thanks to goals from Hjalte Norregaard, Jose Junior (2) and Zdenek Pospech. A fortnight later at Parken Stadium, Copenhagen clocked up a European Club record 7-0 win when Ailton Almeida, Junior (2), Atiba Hutchinson, William Kvist, Morten Nordstrand and Thomas Kirstensen completed an 11-0 aggregate triumph. Having never scored a goal, or conceded fewer than four, against opposition from Denmark, the omens don’t paint a particularly pleasant picture for the Reds but, as fans prepare to make their journeys to Solitude tonight, here’s hoping for an upturn in fortunes and another memorable European result.